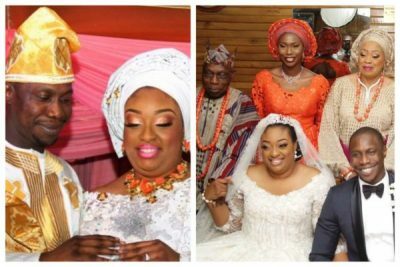 Mrs. Obasanjo has given shocking revelations about her son, Olujonwo’s one-year marriage to billionaire daughter, Tope Adebutu. Spouse of the former president of Nigeria, Olusegun Obasanjo, Taiwo Obasanjo, has released a statement revealing what led to the crash of her son, Olujonwo’s one-year marriage to billionaire daughter, Tope Adebutu. Mrs. Obasanjo who was against the wedding initially and had even gone to court to stop it, made some shocking allegations of what transpired in her son’s marriage to Tope.